Authentic, something of undisputed origin; genuine. Not false or copied but real. Its origin is of unquestionable authenticated and verified origin. It is believed to be authenticate from the acceptance or belief from known facts, experience and trustworthy sources. Its very practice is considered authoritative. It is easy then to define authentic karate, a term I first read and coined by the Shinseidokan Dojo author, Michael Clarke Sensei of an authentic country found down under :-) . I find using authentic easier then classic or traditional but as with those two the definition is still open to interpretation and perception of the individual. 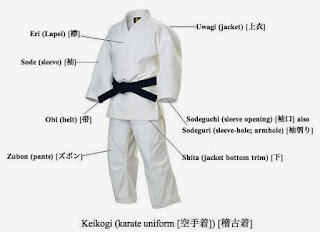 This means that even the commercialized sport oriented club like practice of the physical can also be thought of, by those who practice and believe that model, as authenticate karate and/or martial arts. Life and its concepts are never easy to define exactly, exactly enough to satisfy the many vs. the few. It comes down to what matters to each group. Each group may end up with a different perspective and distinction as to authenticate, classical or traditional karate but in the end it only matters to that individual and his or her group. 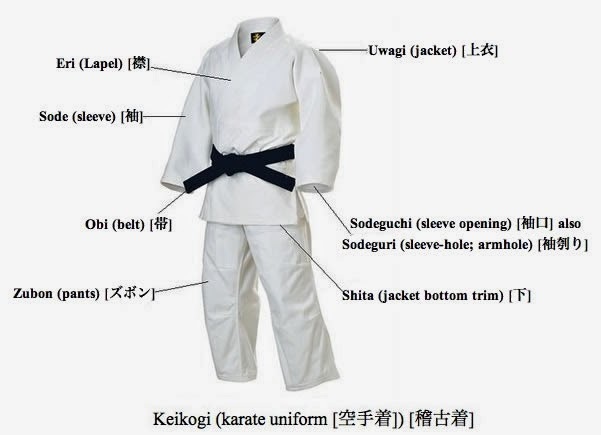 I too, have a unique way of looking at my karate and I do see it in all three lights, i.e., authenticate, classical and traditional, but in truth I see it beyond what is seen and practiced in most dojo around the world, including the new Okinawan Karate Systems. I see it as a matter of yin-yang where the old traditional, classical and authenticate way of karate is the yang while the more philosophical modern view, not so modern just rediscovered old ways, of karate and martial arts. What I rediscovered is what I consider the authenticate karate, a more comprehensive and complete form of the discipline. Then again, others feel and see and understand it in other authenticate ways. To use the terms with a limited belief and understanding does no one justice and inhibits the expanse one can achieve in karate so to my mind authenticate karate is a practice that should take us beyond the basics and way into the expanse of the karate Universe with all its matter, anti-matter and void or space. Its vastness is daunting but its pursuit will be a wonderful life long endeavor one who faces the challenge will never regret. There will be days like this and there will always be days like this but truthfully that means there will always be days like this that teach and where I learn. When I editorialize, where I provide opinionated opinions, theories, ideas, etc., where I lecture as a teacher, instructor and mentor, when I lean toward a teaching form my editorialization, opinions, lectures and lessons I am mentoring but with one caveat, a need to learn, a need to understand and a need to find out more so I can editorialize, express opinionated opinions, lecture, teach and mentor. Does that make even a bit of sense? Editorials: an article written by or on behalf of an editor that gives an opinion on a topical issue. A part of a newspaper or magazine that are not advertising. The question is in our modern tech world, are blogs and other venues of electronic publication qualified to present editorials on issues, topics or in my case disciplines such as karate, martial systems and self-defense? Or are editorials a purview of only newspapers, news television, or magazine publications? There are political editorials, there are business editorials and there are debate type editorials but what are they really? Are editorials actually just opinions form authors/writers who have some expertise on the subject of editorials because I do have some expertise on the subjects I write about in my blogs? An editorial, in general, is an opinion piece written by that often expresses an opinion of a publisher and yet it can be any other written document that reflects an opinion of a periodical but can it also reflect the opinion of an author who writes on a subject they have extensive knowledge of? My blogs are of a single topic and theme with text expressed as my opinion and is often in a lecture format, is that an editorial piece? Opinionated Opinions: first, an opinion is a view or judgement formed about something, like karate and martial arts and self-defense and philosophies of the three, etc., not necessarily based on fact or knowledge (my opinions and editorial articles tend to come from facts researched and knowledge gained from studies, practices and experiences). As to opinionated, that is a view of a person or material presented perceived as conceitedly assertive and dogmatic in one’s opinions. My question is who gets to decide what is opinionated and what is not for an opinion may be perceived as derived from that persons perception of their inner world and beliefs and may not actually be a correct perception of that opinions. There can be and seems to be a very fine line between an opinion presented in an editorial article, article or blog entry based on an individual perception of conceited assertive dogmatic opinion. Can it be a misinterpretation of an confident presentation vs. an actually opinionated piece and how do you tell the difference? Opinion to opinionated seems to be defined by terms such as dogmatic, fixed views, dictatorial, pompous, self-important and arrogance but how can that be detected in a written piece without knowledge of the author/writer, a perception through sensory data input like body language, voice inflection or attitude? The written word is only a very small part of that communications leading a belief that when one feels a persons written word without a knowledge and understanding of the authors personality, etc., is a judgement as to the persons own personality in expressing and receiving opinions. If the author of an opinion piece, an editorial or lecture type written article, how do you determine if it is truly opinionated as to conceit and dogmatic especially if that person is presented with refuted information and/or opinions that stimulate change in the authors view, opinion and understanding and does one determine opinionated views of the author before or after making such determinations, I wonder? Lecturing: is a delivery of an educational lecture to a class or other audience that would include readers of a blog, of a Facebook entry, of a twitter submission or a forum site, etc. It is often used to present materials in a educational arena such as an institution of higher learning, a University lecture. Lecturing, dependent on the perceptions of an internal nature of the recipient, might be also a view of a serious talk or of reprovingly nature to someone but that too is about the recipient rather than sender although one would hope the sender or lecturer would do so after a connection is made such as an empathy connection, etc. It is a difference of a scolding, chiding, admonish like deliver that in all honestly cannot be conveyed or determined by just the written word especially understanding just how difficult it is to convey such views without first knowing the person more intimately and being in physical presence while lecturing to perceive their body language, etc., as the necessary additional sensory data output needed to make such a determination. Teaching: is an informal method of lecturing and discussing or a series of lecture on a subject of public interest or of personal interest to say, students in a lecture hall or participants of a tech social connection forum like a blog, a wiki or a FaceBook social site. Sensei teach and to teach such a complex and difficult subject of a skill based knowledge of karate, martial disciplines and especially self-defense you have to participate in prolonged periods of “Lectures,” speeches, and editorialized written materials, etc. conducted often without interruption by members of an organization like school faculty or invited guest speakers at other education institutions or when used as a technique in a social protest, etc. Mentoring: is about one who comes before or one who has a knowledge of a subject and/or skill who advises or trains someone in that subject, skill and/or discipline. A mentor promotes, advocates and is a resource for mentoring but is not all knowing of the subject or skill but rather a knowledgable person who has a good understanding of the discipline, skill and knowledge, etc. In my blogs, in my writings and in my books I am a person lecturing and teaching on a subject and skill that is about karate, martial disciplines, self-defense and a philosophy on all of that so I mentor and I teach and I lecture and I am of a certain opinion but I am open to change when properly presented and later validated by my own efforts in research, etc. Isn’t that they way it is? Does it mean that it is opinionated and does it mean that the lecturing is negative or is it just the excuse some give to justify remaining steadfast, dogmatic, in their status quo belief system? Why do they take of the uwagi when doing Sanchin Shime? A newbie question but a really good one. The idea is to have the ability to see the upper body to ensure certain sanchin principles are being utilized and applied in the kata. The particulars are not important as those tend to differ dependent on who and what system is explaining the shime of sanchin. I have some thoughts on the subject. First, on Okinawa before the adaptation of the karate uniform, the geiko-gi, most practiced karate in shorts, what some would call underwear, with no shirt, etc. and the reasons were often about the heat of Okinawa rather than sanchin or sanchin-shime tests. Second, in those very early days women didn’t partake in training for karate, at least not so as one could see it openly. Today, we tend to overlook any need to view the upper body bare in shime testing when it comes to women. Hmmmm, if that is true then I asked myself is there truly a need to bare our upper bodies in sanchin and if so then why not remove the zuban or pants and allow underwear enough so we can view the entire leg along with the upper body, hmmm? In reality, and after my study of Sanchin and Shime I have come to the conclusion that baring one’s body to test in sanchin shime is not necessary or even needed. I see sanchin twofold, i.e., one is the training and learning of physiokinetic principles and two is to use a dynamic tension form to create strength in our bodies that is also done by other means such as weights, etc. To detect principles applied in sanchin does NOT necessitate slapping, pounding or hitting the body, You cannot actually see all that much as to principles applied except in a broad sense. You do have to feel but that is a tactile touch sense way, i.e., you feel the shoulder position, you feel and look at the structure of say the arms and hands or the legs to hips to waist, etc. Some times you push, pull or twist to see if their dynamic tension is adequate and that the movement resulting from that effort shows the structure and alignments are good and solid when tension are applied in the kata. So, back to the question, why take of the top and bare our chests. Other than the old pre-uniform hot as heck way of practice usually outdoors I consider it more about ego and a way to show off your physique when in tension. We humans think that when tensed up like body builders to display our musculature we are demonstrating both strength and power. In a small way that is true but overall - not-so-much. Strength as to force and power can be a bit off in relation to one another. Take strength and our structure and alignment as well as say, punching or striking. The strength is about stability of that structure and alignment where force and power tend to come from things like body mass movement and a bunch of other principled based actions and moves, etc. It ain’t all that much about how strong you are and yes I admit that strength and size matter but I have witnessed and experienced much bigger and stronger guys hit me with not all that much damage or even pain. Go figure. So, even women can still be tested in sanchin shime and it does not require removing any of the uniform because honestly, if a sensei cannot determine principled tension effects through the uniform, they shouldn’t be testing shime anyway.